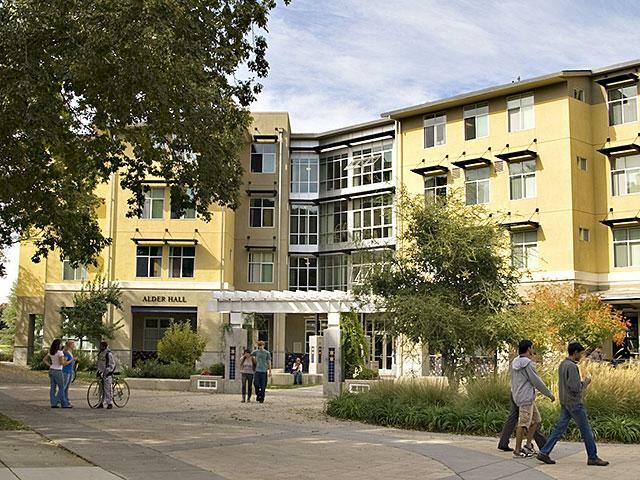 Nothing says "college experience" like living in the UC Davis residence halls. Your dorm is your home, and we'll provide everything to make you comfortable - a desk, a bed, linens and, of course, a roommate. Living with a non-relative, especially if it's your first time, creates a bond that often lasts a lifetime. Sharing the pre-college experience with your roommates will add to the fun, and give you a better idea of what it’s like to live on campus! Check out the residence halls. This is Dorm Food? Seriously? Both commuter and residential students will be able to enjoy eating in the Dining Commons, where you'll find fresh, healthy, delicious food for every taste and lifestyle. Mexican, pizza, Asian-fusion, vegan cookies? We've got it all. 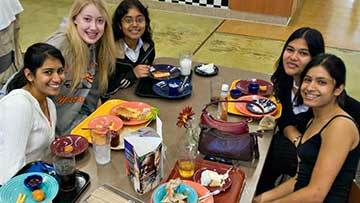 The cafeteria-style dining means you can take as little or as much of whatever you want, including cereal for dinner, if that's your thing. What's on the menu? Check out the Dining Commons .